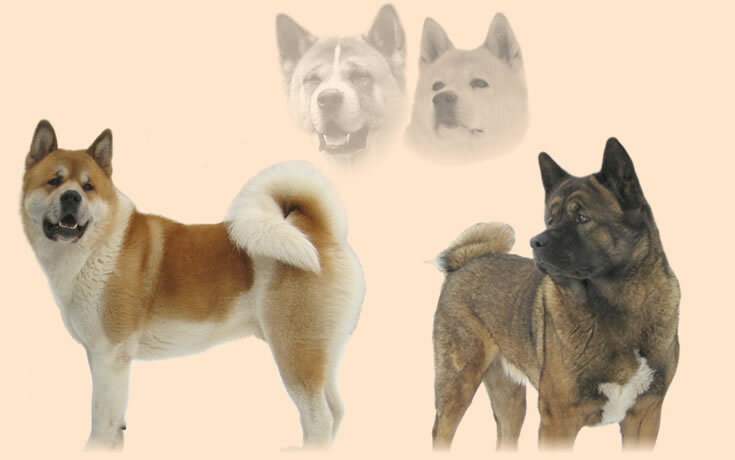 On this homepage we would like to introduce our American Akitas to you. For about 13 years our male Bruno of Kakusu Chiho has been a member of our family. Eleven years ago he was kept company by our female La Cheyenne of Nobara Ken. During this time both of them have become fixed parts of our family and each of them delights our lives in their own ways. Finally – to complete the trio – Arborlanes Merry Jane joined them in April 2004. Coming by plane from Ohio she is a real American Akita in a manner of speaking. She has pepped up our Akita couple and settled in quite quickly and without any problems. In summer 2008 our beloved Bruno went over the rainbow bridge and we had to say Goodbye for ever. It was a really painful experience. But in December a new male pack member moved into our house. Buckshot's Out of the Shadow, a dog with excellent and famous American ancestors. In 1999 we had our first litter from Cheyenne and Bruno and although there have been 10 puppies we have raised all of them to gorgeous strong Akitas. In spring 2005 we had our last litter from our pair. Now Cheyenne is to enjoy her retirement. We wish that she will live together with us healthy and hearty for a long time. Meanwhile Jane has completed her breeding license and she has already given us beautiful puppies. Well, have fun when reading our website and looking at photos of our puppies. You can also write comments in our guest book or e-mail us if you have any questions, of course.